Well, crossword puzzles have been in trend since its very inception on 21st December’ 1913 by the famous Liverpool journalist John Arthur Wynne, who published the first ever crossword puzzle in the Sunday edition of the newspaper the New York World. And, now Almost a 100 years have passed but, its craze and popularity is nowhere behind. It still is the most sort after and loved game by crossword aficionados across the globe. Had it not been so, the new age games for money in the form of online crossword ‘Wealth Words’ would be nowhere in the scene. Yes, unveiled in front of the world on 20th April’ 2017, this digitally driven crossword has revived the crossword trend like never before. Scratching your head? Not a clue about it? Well, you might want to register at its website and try for yourself. You surely are going to love it to bits. Designed to quench the crossword thirst of the new age, fast-paced millennial intellectuals, this online crossword has emerged as the contemporary way of playing the cryptic puzzles. It’s online: Unlike the yesteryears crosswords which required you to wait for Sunday magazines and newspapers to dive in the world of words, this crossword is available on your fingertips through any of your digital device along with a good internet connection. Play it anywhere, anytime and as long as you want. Could it get anymore easier? It’s a game for money: Another reason of it taking the crossword trend a level up is its real money earning game approach. Yes, playing and answering its puzzles right can let you win cash prizes as high as a whopping $1600 here. Now, isn’t that a reason enough to try these games for money? If you are nodding in affirmation (you surely are, aren’t you?) then, register at its website (haven’t you already?) and get going. Oh yes! You do need to buy yourself tokens worth $2 each for playing online crossword puzzles. 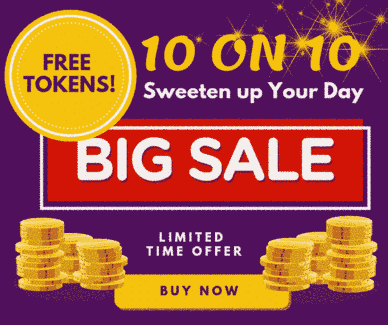 However, I would suggest you go for token packages (100 tokens come for a mere $160) instead of a single token for a single game because not only it would cost you less but, would help you seamlessly play its plethora of active and divisional games. And, since it’s very intriguing, enticing and oh-so-addictive, you won’t mind purchasing the whole of token packages. In fact, it comes more as an investment rather than expenditure because of the insanely huge cash prizes you get to win here. Am I right or Am I right? Well, you can even call me ‘Miss-Always-Right’! Not my fault though, playing crossword daily have made my cognitive and mental abilities so sharp that I hardly do any mistakes now. Does it sound a little self-obsessed? Well, never mind! Active games: Ranging between 2 to 20 words, the active games have been designed in a way that lets players win cash prizes ranging anywhere between $50 to $1600. Pretty huge, isn’t it? Divisional games: To give every crossword enthusiast an equal chance to win big here, Wealth Words also distributes its cash prizes in the form of division 1 and division 2. While you need to crack all of its 20 puzzles that come your way to acquire division 1 prizes, the division 2 prizes can be won by answering the second highest correct puzzles. Now, that’s amazing! Open game: If you are a little apprehensive about your puzzling skills, open game can be your knight in shining armor. 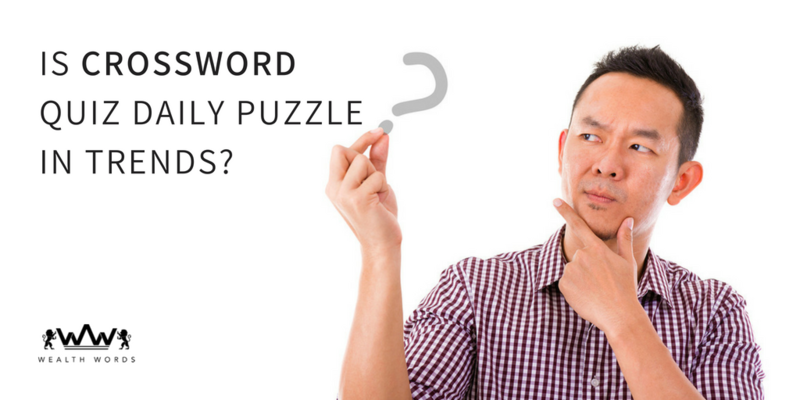 With absolutely no token purchase or registration required, it lets you hone your puzzling skills while preparing you for the real Wealth Words world. How thoughtful is that! So, are you up for a game or two of crosswords with Wealth Words and make the most out of this new rage, new trend? It’s not only fun and engaging but, educative and productive too. Imagine all the new words you will get to learn, all the trivia knowledge you will acquire and all the communication skills that you will improve. Wouldn’t it feel great to flaunt your newly acquired skills in front of your friends and acquaintances? And, of course all the cash prizes you would win will fill you with instant gratification too, wouldn’t it? Well, you surely will be very proud of yourself. Just try it once and give your best puzzling shot here. Now, go and unleash your inner wordsmith! Do well. Best of luck.